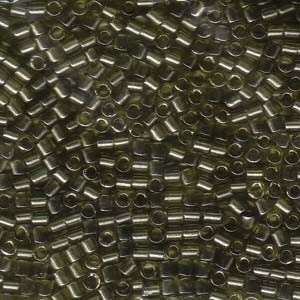 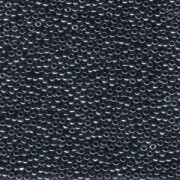 Miyuki Delica Perlen 3mm DBL0123 transparent luster Grey Olive ca 6,8 Gr. 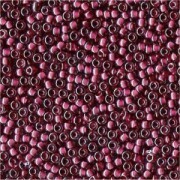 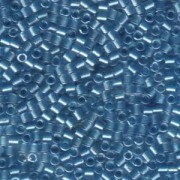 Miyuki Delica Perlen 3mm DBL0905 inside colorlined with sparkle Crystal Aqua 6,8 Gr. 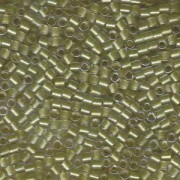 Miyuki Delica Perlen 3mm DBL0910 inside colorlined with sparkle Crystal Yellow Green 6,8 Gr. 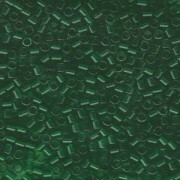 Miyuki Delica Perlen 3mm DBL0705 transparent Lime ca 6,8 Gr.